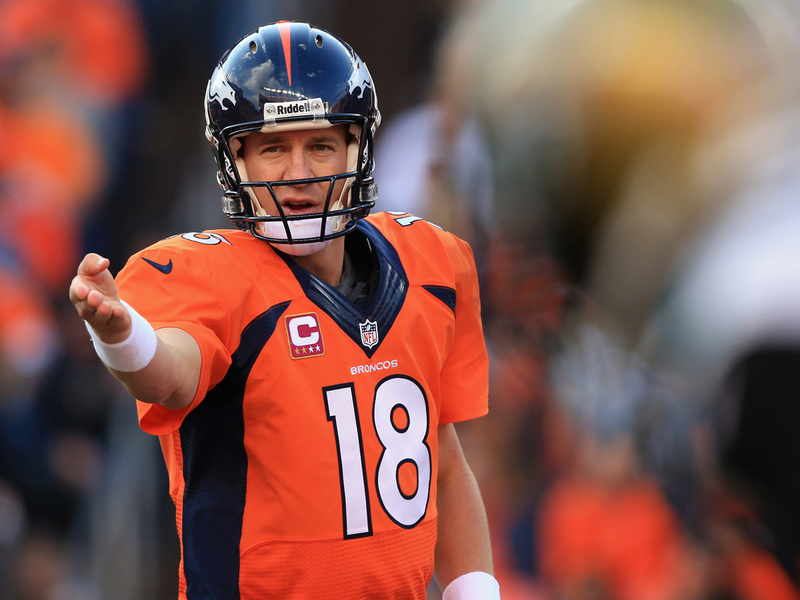 Hands down, Peyton Manning is a world-class athlete. Last October he threw his 509th touchdown against the San Francisco 49ers becoming celebrated as one of the most talented quarterbacks of all time. In college he became the University of Tennessee’s all-time leading passer with 11,201 yards and 89 touchdowns and won 39 of 45 games as a starter, breaking the SEC record for career wins. Manning comes from a lineage of sports talent with his brother Eli Manning playing for the Giants, Cooper playing for the Broncos and his dad, Archie, who played for the Saints, Oilers and Vikings. The Manning legacy has been a winning one. Each of them possess something we all need more of: GRIT! You know the old saying, it’s not about the score, it’s about how you play the game? I wish I could say it’s easy. There have been athletes who’ve tried the ‘easy’ way and cheated to success and failed miserably. True grit is how you get better in the game of work and life. We all face bad days and games. In 1998, Peyton’s rookie pro-football season, he threw a league high 28 interceptions as the Colts struggled to a 3–13 record with a defense that gave up more than 27 points per game. It took a few more years for Peyton to find his stride in the “pros” with a bumpy record until in 2003 he was named Most Valuable Player (MVP). I look back on Peyton’s early career in the NFL and I liken this to my new seat as an entrepreneur. I also liken it to my days many years ago as a new manager. We all grow into comfort zones. When we leave those comfort zones for the unknown, there’s a certain stride you have to rediscover as you learn the new game, and that comes with practice and grit. You only get better when you recognize you have to bring a new playbook to a game that has a new set of challenges. Let’s break down GRIT. For me, it looks like this. G – Getting out there and playing ball. How many times have you said, “one day” or “someday”. For years I told myself that story. “I will pursue this one day.” If you don’t get off the bench and play your first game, you’ll never get any closer to the goal. This is the hardest part of doing anything new or undiscovered. And women have a hard time embracing the notion they may fail if they try something different. People can spend their entire lives on the sidelines watching or they can jump in get in the game. Doing is far better than watching or worse yet, talking about it. So what are you waiting for? Get up and get out there. R – Roll with the punches. Anything new is going to have its own set of unique challenges. It’s like riding a bike. You have to start small and grow your way through it. When you fall off the bike or a play doesn’t work, don’t get discouraged. Sometimes that means re-tuning and coming up with a completely different approach or sometimes it requires you re-defining the goal. Ask yourself: Why isn’t this working? Has my goal changed? Do I need to something different or involve other resources to help me? I – The center of grit is “I”. No one gives you grit. You develop it within yourself. It’s an inner muscle you grow with time and experience. And, no one takes it away from you. It’s yours to create or take away, so own it. When you don’t own this muscle, it’s easy to spiral yourself into doubt. Developing your inner strength means constantly asking yourself what you can do to become better and more consistent, leaving your ego at the door and then making the necessary changes. Tell yourself, “I’ve got this.” And then go get it! T – Touchdowns aren’t limited to the endzone. Victories are simple and don’t require you run the ball 100 yards to the endzone to score. You define them. Ask yourself: What does success mean for me? What does success mean for my team? What does it look, smell, taste, and feel like? Then go get it. Success in football has been long defined by scoring points and winning games. Peyton, Eli, Cooper, and Archie threw poorly and lost games. But grit is what drove them to succeed. The will to try, learn from mistakes and embracing an inner strength is what separates the men from the boys, women from the girls, and the successful from the side-liners. What does grit mean for you? Doug thanks. Appreciate your sharing it – our kids need to know to hang on and work through it.